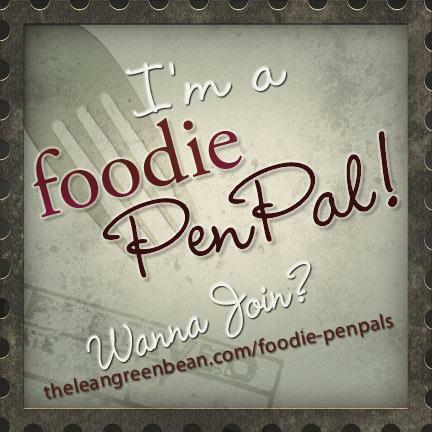 Another last day of the month (a day late… sorry), which means another Foodie Pen Pal reveal day. This month I received a fantastic package from Christina Becker of “Cooking Something Up”. Christina did something I have done with most of my recent packages, simply walk around the store and buy things I would want for myself and then send them. But we have more in common, she also is in law school and I am a couple of years out of law school practicing in CT. What a coincidence! So… What did she send me? Good question. First off she sent me something I can’t get enough of… Good BBQ sauce! Now I tend to make my own BBQ sauces, but it is always helpful to have a good bottle in the fridge to use in a pinch or when you don’t want to spend the time making it. This one did not disappoint. I may have to take a trip to the “Twin Cities” to try their BBQ first hand, because if their fresh BBQ is even better than their jarred (as I expect it would be) it is worth trying. 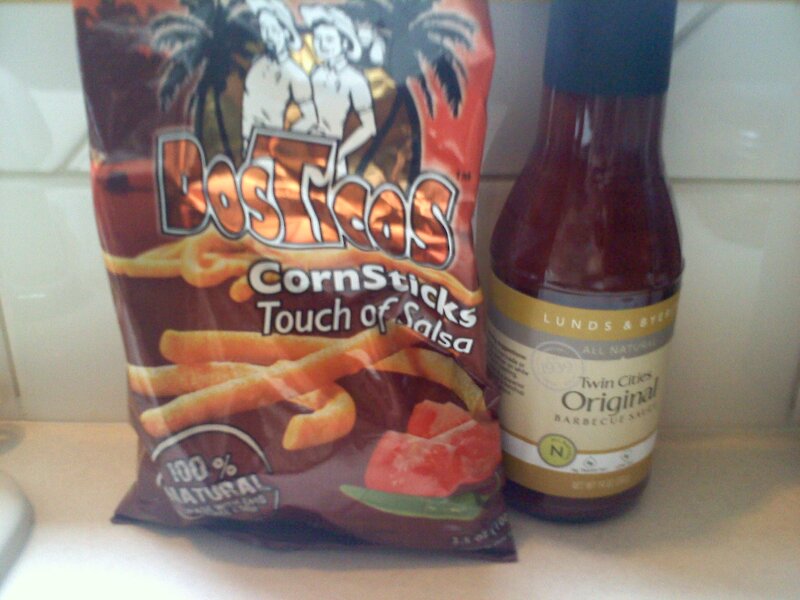 Next were the Touch of Salsa CornSticks. As so often with Foodie PenPals. This is something I have never seen nor tried before. They were a great snack. I bit of spice, good flavor, great crunch and perfect for munching on while watching the game. Next she sent me two of my favorites. First a bunch of cinnamon sugar pita chips. 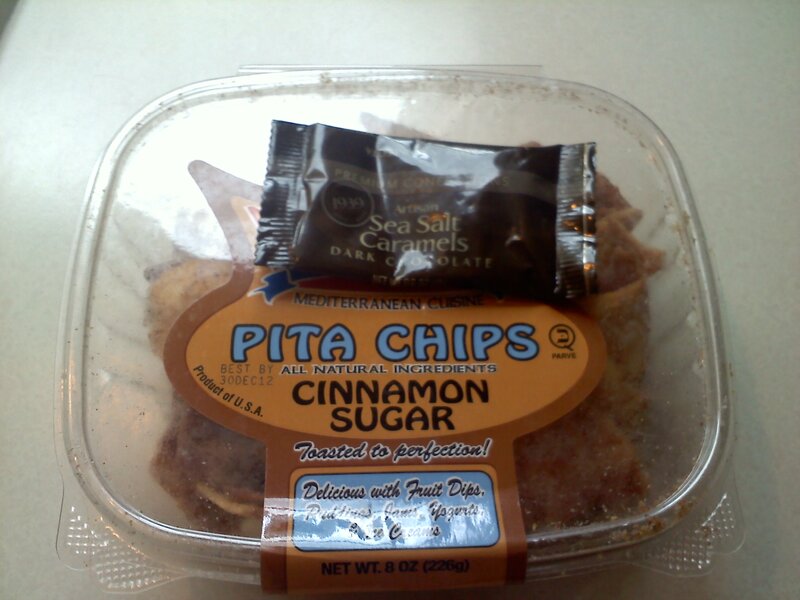 I love pita chips and this is my favorite flavor! They were fairly immediately devoured… Thanks! Then comes my favorite flavor combination, sweet and salty. Christina sent me a absolutely delicious sea salted caramel. I often get this flavor cupcake at Crumbs bakery and can not get enough of it. Yum! There was one unfortunate casualty in this box (which actually happened to me a couple of months ago) in that the jar of Green Olive Salsa that was in the box broke. Fortunately, Christina was smart enough to have wrapped it in a plastic bag so it did not end up getting all over everything else. Thank you so much Christina for an amazing Foodie Pen Pal package. 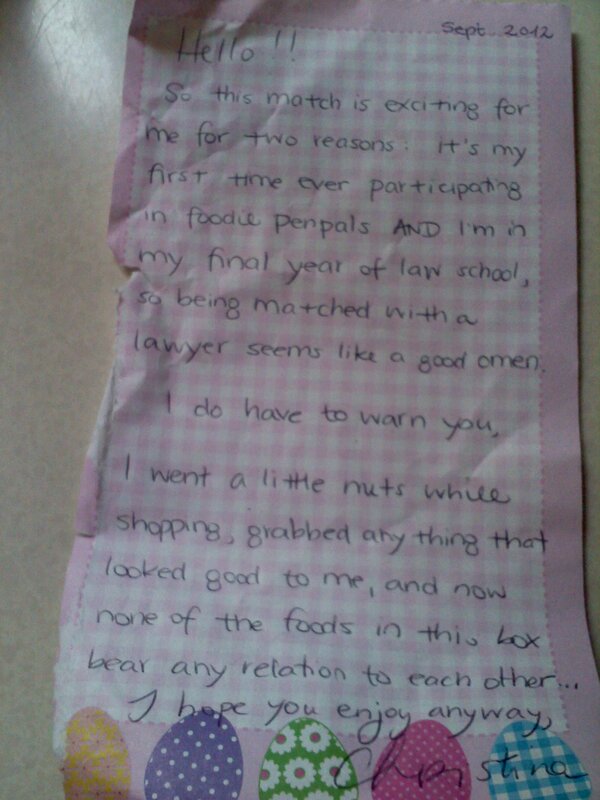 Please check out what she got from her pen pal and her fantastic blog, “Cooking Something Up”.